If you've got your Sky, Virgin, Freeview or Freesat box hooked up to your Xbox One, this news is for you. The bug that causes juddering when watching TV through the Xbox One's HDMI-in port is getting fixed within weeks. That's according to Xbox marketing director Harvey Eagle who spoke to OXM earlier today. The problem is caused by the fact that UK PAL TV uses a 50Hz standard while the Xbox One was designed around the 60Hz TV broadcasts in the USA. This causes a juddery framerate as the UK version of the Xbox One tries to work out what happened to those extra 10Hz each second. "I can't be precise with you today on a date, unfortunately," Eagle told OXM. "I can tell you it'll be spring and therefore in just a matter of weeks we'll have that matter fixed. And it is an important one to fix." 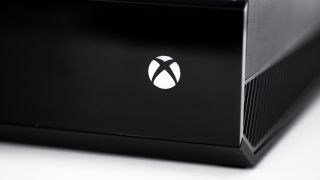 Sadly, there's still no news on when UK Xbox One gamers will be able to use the Xbox One's Guide PVR features that American gamers have been enjoying since launch. It's a really key feature that's missing outside the US - one that could well shift a lot more consoles once it's working. In other Xbox One news today, Microsoft cut the cost of console to just £399, throwing in a copy of Titanfall for good measure.